If there’s an ingredient I can’t get enough of, it’s Salicylic Acid. You see, my t-zone is prone to blackheads. Like, if I leave it to its own devices, the whole area gets covered in dark spots that won’t budge. Eww. Well, they didn’t budge until I discovered Salicylic Acid. Now that I’m using it every other night, blackheads are a distant nightmare. Phew! Salicylic Acid is a must in my skincare routine. What sets Salicylic Acid apart from all other exfoliants is its ability to get inside the pores and remove all the crap that’s clogging them up. In other words, it gets rid of any type of acne – blackheads, whiteheads and pimples – and keeps them from coming back. While it’s at it, Salicylic Acid also exfoliates the surfaces of the skin. Now those pesky dead cells are off your skin, they can’t fall into the pores and clog them up again. Plus, getting dead cells off your skin makes your texture softer, smoother and brighter. If you’ve won the skincare lottery and never get a pimple or blackhead, you don’t need Salicylic Acid in your routine. But if blemishes are a constant threat, this will be a game changer for you. P.S. Epionce Lytic Tx Retextrurizing Lotion has both pure Salicylic Acid and Willow Extract, a natural source of Salicylic Acid. Did you know that Meadowfoam Seed Oil is one of the most stable oils out there? That’s because it’s made up mainly of long chain fatty acids. These fatty acids are incredibly moisturising: they strengthen the skin’s protective barrier and makes skin softer and smoother for hours. The other perk: long chain fatty acids last longer. Translation: you don’t need to worry about Epionce Lytic Tx Retexturizing Lotion going rancid anytime soon. It won’t. P.S. Meadowfoam Seed Oil isn’t the only moisturising ingredient in Epionce Lytic Tx Retexturizing Lotion. This baby has shea butter, too. White in colour, Epionce Lytic Tx Rextexturizing Lotion has a lightweight texture that sinks in quickly – without leaving a sticky residue behind. Epionce says you can use it every night, but I prefer to use it every other night. I don’t want to run the risk of overexfoliating my skin and dry it out. But if your skin can take nightly exfoliation, go for it. Talking about the perils of overexfoliation, I’m glad Epionce has added meadowfoam oil and shea butter to the mix. As salicylic acid removes dead cells, the emollients can strengthen the skin’s protective barrier so your skin doesn’t dry out. Having said that, I do apply moisturiser afterwards. I don’t care if it has Lotion in the name, it’s not moisturising enough for my dry skin. If yours is super oily, you may have a different experience. Since I’ve started using it, the texture of my skin has become smoother. My fine lines and the large pores in my nose areas already look smaller. Plus, it does a great job at keeping my face a blackhead-free zone. And yes, it works at treating whiteheads and pimples, too. Now, salicylic acid isn’t an overnight miracle worker. If your blackheads have been there for a while, you can’t apply a thin layer of Epionce Lytic Tx Retexturizing Lotion at night and expect them to be gone by morning. Skincare doesn’t work like that. Depending on how stubborn your blackheads are, it may take anywhere from a few days to a few weeks to remove them completely. Once they’re gone, keep using the lotion. It’s not enough to clear up your pores. You want to keep them clean so no other blackhead or pimple would dare rear its ugly head. The only thing I could do without is the scent. Lavender and orange extracts make the lotion smell good, but they could irritate sensitive skin (my skin isn’t sensitive so I don’t have any problems with it). 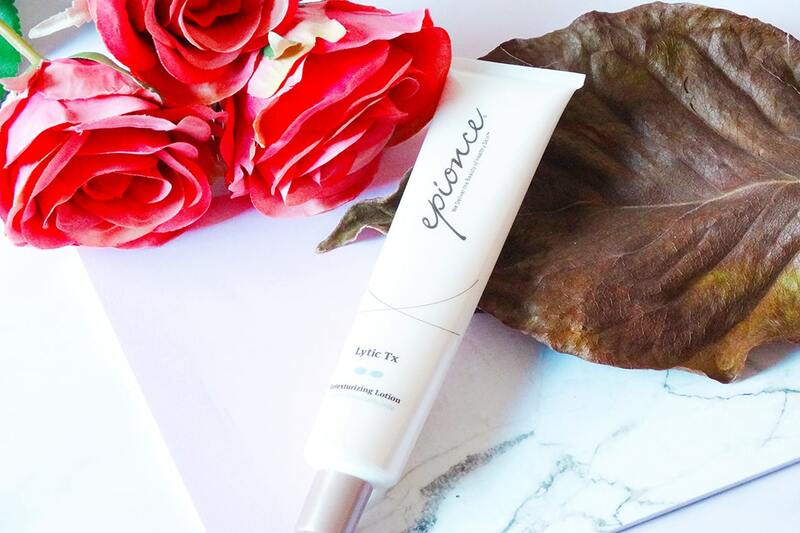 Epionce Lytic Tx Retexturizing Lotion has a lightweight texture that gently exfoliates and unclog pores, leaving your skin smooth, brighter and blemish-free. 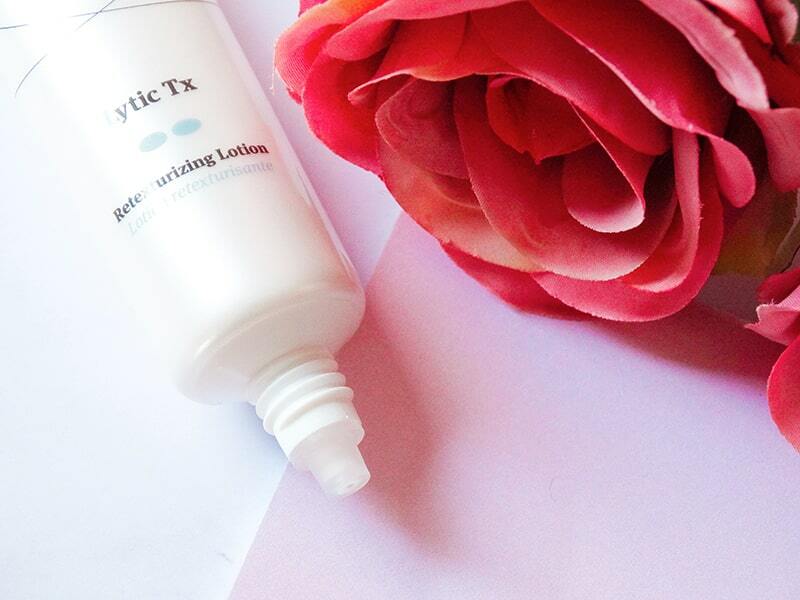 Have you tried Epionce Lytic Tx Retexturizing Lotion? Share your thoughts in the comments below. Ingredients: Water (Aqua), Salix Alba (Willow) Bark Extract, Butylene Glycol, PPG-2 Myristyl Ether Propionate, Polyacrylamide, Salicylic Acid, Limnanthes Alba (Meadowfoam) Seed Oil, Glycerin, Petrolatum, C13-14 lsoparaffin, Cyclohexasiloxane, Cyclopentasiloxane, Azelaic Acid, Butyrospermum Parkii (Shea) Butter, C10-30 Cholesterol/Lanosterol Esters, Cetearyl Alcohol, Citrus Aurantium Dulcis (Orange) Fruit Extract, Glyceryl Stearate, Laureth-7, Lavandula Angustifolia (Lavender) Flower Extract, Limonene, Linalool, Olea Europaea (Olive) Oil Unsaponifiables, PEG-100 Stearate, Persea Gratissima (Avocado) Oil, Phytosterols, Polysorbate 6o, Rosa Canina Fruit Oil, Sodium Hyaluronate, Sodium Hydroxide, Zinc Pyrithione. I’ve used this before but felt it was very expensive for my dose of Salicylic Acid! Would this be used in place of an BHA exfoliator like The Ordinary Salicylic Acid or Paula’s Choice Skin Perfecting 2% BHA Liquid Exfoliant? Jessica, it’s true that there are cheaper exfoliants out there. But if it works for you, it’s to be used in place of a BHA exfoliator. I have used this product for approximately 1 year and love it. A little bit goes a long way so very cost effective I have not had any dryness or purging. I do notice if I stop using as blackheads come back. I also would prefer that they leave out the scent. Trish, scent aside is wonderful, isn’t it? Gentle yet effective.